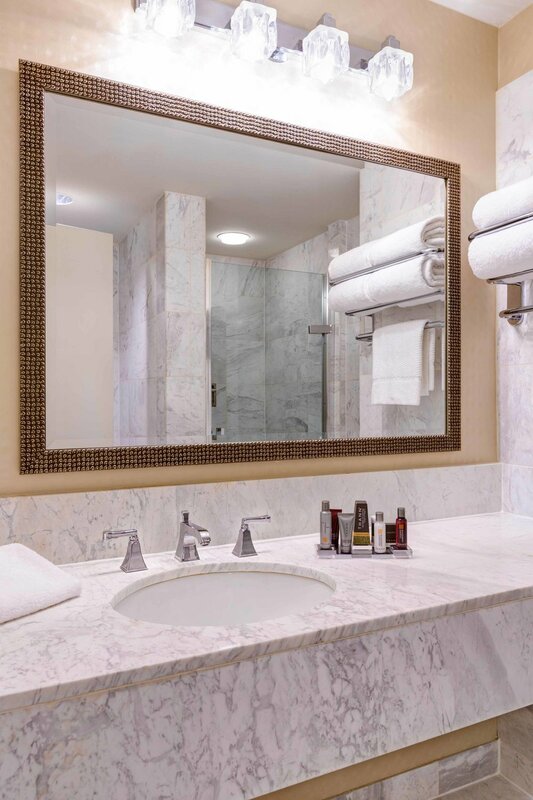 Elegant décor, comfort and convenience are the hallmarks of Marriott guest rooms. Our generously proportioned guest rooms also feature a comfortable desk and chair. Our impeccably styled Executive Suite features a separate dining area, wet bar, refrigerator and more space to unwind and prepare for the day ahead. With its clean lines and warm tones our Presidential Suite offers separate bedroom and living quarters giving you personal space to rest or entertain. So unpack, relax, and enjoy being a VIP.